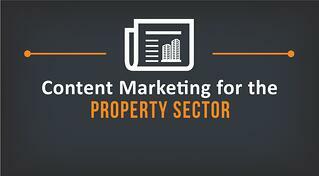 Creating engaging content that captures the attention of your target audience and serves your overarching marketing goals is no easy feat for property companies. In this guide, we’ll take you through the basics of creating web content and provide some recommendations along the way. 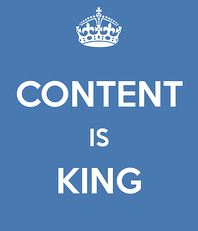 Content is big and it’s only set to grow. With the average content marketer employing around eight different tactics, it can be understandably intimidating for newcomers figuring out where to start. Not to mention the unique challenges faced by those in the property and construction sectors. This is where content strategy comes into play, and by spending a little more time in the planning stages you save yourself lots of effort down the line. Blogging: Nearly 40% of marketers claim these relatively short articles are the most cost-effective form of content marketing. Social Media: Yes, this too counts as content marketing and has been found to produce almost double the leads of PPC campaigns, direct mail, telemarketing and trade shows. eBooks/White Papers: The adoption rate for these resources has risen by over 50% among B2B marketers during the past year. Others: The B2B sector has seen exponential growth in the use of content during the last 12 months, with videos, webinars and eNewsletters all accruing massive gains in uptake. A content strategy will provide the outline for your content marketing campaign and govern issues such as relevance, meaning, user experience and how your content efforts will tie into your business goals and boost your bottom line. Goals: While it outperforms traditional-style marketing and advertising in terms of cost, content marketing shouldn’t be considered easy by any means. One of the determining factors in whether you succeed or fail at content is how you utilise the resources at your disposal. Activities like blogging, social media and video or audio production can quickly become time drains, so it pays to have a clear and pragmatic idea of what you’ll be able to achieve before you get started. Content marketing is a cyclical process and approaching it in this way enables you to incrementally improve your targeting and resource usage by quickly giving you an idea of what’s working and what isn’t. However, the data garnered during the course of a campaign can only point you in the right direction. The onus is on you to abandon or adopt new tactics as needed, so don’t be precious about your preferred avenues or intimidated by the prospect of making your first forays into a new field. Targeting: To begin, you need to put yourself in the shoes of your ideal customer (or customers if you target several separate groups) and create customer personas. It's a good idea to get a variety of input from various parts of the business from the top-down. You should get together and brainstorm what the daily lives of your customers are like, what challenges they face and what they’re looking for when considering a product or service like yours. This isn’t some wishy-washy exercise, however, and will be incredibly useful in keeping you laser-focused on your goals. 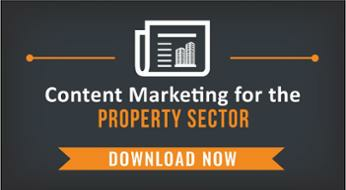 As the property sector encompasses a wide area, your audiences could be either B2B and B2C or a mixture of both. Your content must reflect this and be tailored to speak to the specific needs of each of your varied personas. Research and Planning: Once you’ve determined some of the above criteria, you can think about how to address the pain points of these personas by providing information and content that speaks to their needs. It’s also a good idea to review the efforts of your peers and competitors - see where they’re succeeding, failing and not trying at all, and then use this intelligence to inform your own strategy. There’s a range of tools to help you brainstorm content ideas, but the two must-haves that we’d recommend are Google’s Keyword Tool and Ubersuggest. The former will help you translate the outline of your strategy into a practical plan by providing concrete information on how many people are searching for a specific term, while the latter can suggest key word and phrase variations that will be of use when it comes time to begin creating and optimising content. Creation: Once you have targeted your personas, identified the pain points you want to address, and mapped out your keywords and content, it’s time to create! Creating your content should be the fun (and somewhat easy) part of your strategy, but there are certain guidelines, depending on the type of content, that you should aim to adhere to. A blog post, for example should aim to be 800-1200 words to reflect changes to search algorithms. Publishing: After you’ve created your content and are happy with it, it’s time to get it out there. You could have the best content in the world, but if nobody knows about it it’ll get you nowhere. Use the channels at your disposal such as your website blog, social media channels, and eNewsletters to let your customers and prospects know about the resource. Optimisation: After you’ve published and shouted about your great content all over the web, you need to know how it is performing. By monitoring the success of each element of your content strategy you can soon find out what is working and what isn’t. This reporting should take into account every element of content strategy, including, the content, call to actions, social media responses, eNewsletter click throughs and website drop off. A host of tools are available to help you do this, such as Facebook Insights and Google Analytics. By following these steps you’ll have a robust content strategy that can be adapted and moulded to suit numerous customer personas and content mediums.